Your Toyota dealer wants to get you in and out of the service department quickly and efficiently. There’s no need to block out an entire afternoon for factory-scheduled maintenance or small repairs. Owning and driving a Toyota vehicle is a pleasure. Maintaining it should be, too. With our Toyota Express Maintenance service, you can get a brake inspection, tire rotation, multi-point vehicle inspection, fluids inspected and replenished, and an oil and filter change quickly so you can get on with your day. Properly servicing your Toyota positively affects performance, safety, reliability, and even resale value. Toyota vehicles have a reputation for longevity when properly maintained, and there’s no one better qualified than our Toyota-trained technicians to offer the right kind of service in a short amount of time. 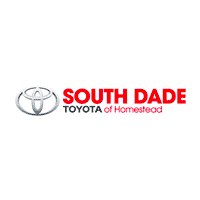 Here at South Dade Toyota of Homestead, our service department is open seven days each week to make scheduling maintenance and handling small repairs in a timely manner easy for our customers. You can schedule a service appointment quickly and easily online with our interactive calendar. Our service department will help you stay on track with routine maintenance by keeping track of your vehicle’s maintenance history. In fact, we believe in the importance of properly maintaining your vehicle so much that we include a ToyotaCare maintenance plan with every lease or purchase of a new Toyota vehicle from our dealership. For two years you’ll enjoy 24-hour roadside assistance. For two years or 25,000 miles (whichever comes first) you’ll receive a no-cost maintenance plan. To learn more about any of our maintenance programs, contact our customer service department, today.